If you're planning a move, you may have some important questions. As an experienced moving company, we've coordinated residential and commercial moves of all sizes and distances. Check out these FAQs for some advice, and contact us with any questions you may have! Sometimes, clients don't have much flexibility in the timing of their move. Relocations for a job or personal reasons may dictate when you move, regardless of other factors. If you do have some flexibility in choosing a time to move, there are a few things to consider. Summer months are the busiest for moving: From about mid-May to mid-September, most moving companies are at their busiest. This means you may have to schedule your move well in advance in order to secure your desired moving date. Otherwise, you may need to be flexible in the arrangements of your move. The beginning of the month is also a busy time: Moving companies are also commonly busy at the start and end of each month. If you can push your move closer to the middle of the month, you may have more control over your move (date, time of day, and general arrangements). It's typically easier to schedule a move outside of Summer months, during the middle of the month. Check out our blog post: When is the Best Time to Move? When choosing a moving company, there are many factors you can consider to determine which companies are trustworthy and experienced. Recommendations from trusted sources: Ask neighbors, friends, coworkers, and family members who they've used for their moves. If they haven't recently moved, that's okay! They may have heard some useful information from someone else. Word of mouth can be a great source of information, as good experiences and bad experiences are often shared openly. Reviews and business listing websites: Reputable moving companies are often found on many websites, including local listing sites (Google+, Google Maps), social media websites (Facebook, Instagram), business review websites (Better Business Bureau), and other sources. Do some Google searching for reviews, and don't be afraid to ask a company about any negative reviews you come across. Website and online presence: Having a website with useful resources, contact information, and company information is a good sign that a moving company is established and reputable. 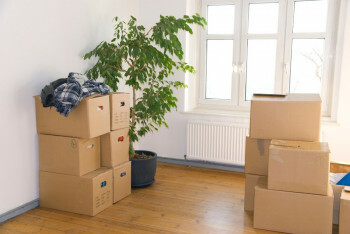 Try to provide moving companies with as much notice as possible, especially if you are moving during the summer months. We recommend at least four to six weeks before your desired moving date. This will increase your likelihood of securing the pickup and delivery dates you desire. The relocation consultant will arrive at your home to perform a visual survey of your items. The consultant must be able to clearly see what is being moved in order to provide you with an accurate estimate. If you know of items that are out of view or will be eliminated, be certain to point them out to the consultant. Once the visual survey is completed, the consultant will calculate the weight, packing cost and any other charges related to your move. Blog post: What to Expect When a Relocation Consultant Comes to My Home? What if I'm Moving with Kids or Pets? Moving with kids or pets doesn't have to be more stressful. We have a variety of tips and suggestions to simplify these moves! How Can I Prepare for a Rainy Move? Living in the South means we have a lot of rainy days, especially during the warmer Summer months. As long as moving will still be safe, and road conditions allow for a move, we'll be there! Read our blog post dedicated to Moving in the Rain for some helpful tips to prepare. If you're preparing for a move, don't wait until the last minute to get started. Contact the moving specialists at Hug-Condon with any questions or to reserve your move!